How do you know which keywords are the best to target? 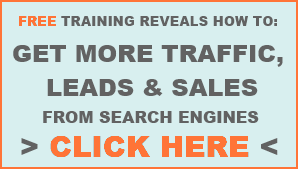 Search Traffic- How often the keyword is searched for. Competition- How strong the competition for that keyword is, ie. how hard it will be to rank well for the keyword. Commercial Value- How likely is it that people who use the keyword will buy something from you. For each analysis factor there are a number of pieces of data to evaluate, they are listed below. There are many different opinions in the industry about which data points are the best indicators to look at when analysing keywords. I will be covering each of the keyword analysis factors in articles over the coming weeks. The most important factors for search engine rankings as determined by the world's top SEO Experts. The search engines use hundreds of different factors to rank the different websites when someone conducts a search. Some factors are declared by the search engines themselves but most are unknown. The best resource we have for determining the most important ranking factors is SEOmoz's Biennial Ranking Factors survey. Basically they survey the world's top SEO experts and determine the consensus on which factors are most important for determining a website's search engine ranking. The survey is due to be redone this year, around August. Which factors do you think will have changed? Will there be any new factors that we haven't seen before? I've been meaning to write a post about this for a few weeks and I thought I'd better get it out before the next meetup, Talk Social and Science, on Monday (16/5/2011). Basically I just want to get my own thoughts in order. "Net Tuesday or NetSquared Local groups are monthly events that take place in cities around the world. These events serve as a great opportunity to convene local communities to share ideas, learn from each other, and even collaborate on projects for real world impact. These gatherings provide a chance to connect for all those interested in the intersection of social technologies and social change in your local community. Members of local groups represent nonprofit organizations and foundations, government agencies and service providers, designers and developers, innovators and social entrepreneurs." The first two meetups seem to have focused mainly on helping charities and other non profits to gain exposure, to lead to donations, by using social media. While I agree that social media is an excellent way to get your message out there, in the long run you're still going to have the same problem of many different foundations competing for limited amounts of money. In the short run, the early adopters will likely benefit from the extra exposure and reach that social media can deliver and giving them a greater proportion of available funds, but are they really more deserving of this just because they got there first? To see a long term benefit we need to be able to get more people to donate than normally would, and/or get each donor to give more. Many people don't have, or want to donate, money to a cause. If we can find ways for people to use social media to help instead of giving money then we might see some more positive benefits. For example, during the Christchurch earthquake aftermath there was a Google spreadsheet of missing persons being maintained by Twitter users. If we can improve efficiency we can see everyone benefiting. Charities will be able to do more 'social good' for each dollar of donations and Government departments will be able to reach, inform and help more people and give a better service. Devin touched on this with his presentation on crisis management (did the slides go up anywhere?) and this meetup's title 'Talk Social and Science' looks promising for further discussion on how social media can be used to increase efficiency. Get more people to donate money than normally would? Get donors to donate more often and/or larger amounts? Help the cause, not associated with getting more donations? Improve efficiency of processes within charities, non profits, government etc. ? The online paid directory sharks are beginning to circle closer and closer. Here are some questions to keep in mind if you are contacted. Are paid directory listings useful for SEO? I have received calls recently, 2 in the last week, from three different online directories offering advertising and listing packages for a client of mine. All of them were throwing in buzzwords like 'SEO' and 'rankings' to entice people to sign up for their services. In each case I pressed them for info but they all use different types of statistics (perhaps on purpose?) so it makes it hard to compare. Still I have compiled a table below which I will add to over time and below that a list of questions to ask if you get called by one of these, or similar, companies. Conclusions from this data? Its hard to say with the numbers being incomplete. I like Womow so far. These questioned are centred around numbers of expected leads. They will want to tell you all about what you get in your listing, how many pictures, the 'keywords' you can include etc etc, but all this stuff doesn't mean anything if its not going to deliver leads and sales. How much does it cost? Over what time period? Whats the minimum contract? How many members do you have in Adelaide? How many competitors are there in my category/s? Do you have a free listing option? How does it differ to the paid listing? If the directory has good search engine rankings for keywords that you want to rank for then this might be relevant. You will have to investigate this yourself for your industry. In most cases, I wouldn't expect a paid directory listing to rank well compared to you website for instance so you should focus more on the number of leads it can deliver from within the directory. Maybe some of the SEO readers can add their comments on this? Many people use 'location qualifiers' within their search terms to bring back more local results. How do you search for local results? This table contains the number of searches over the course of a month for the location qualifiers plus at least one other word. When looking for local results, many people use the location qualifier 'Adelaide.' Throughout your keyword research you should make sure to analyse terms that include the location qualifiers 'Adelaide' and 'South Australia' and compare the search volumes to normal searches, adjusted to Adelaide's relative size. How Do You Look For Local Results? Let me know in the comments below how you look for local results. Maybe you don't use search engines at all, maybe you use online directories or the old yellow pages. Go on, add a comment!